FALLBROOK UNION HIGH SCHOOL DISTRICT. Administrative Law Judge (ALJ) Robert F. Helfand, Office of Administrative Hearings (OAH), State of California, heard this matter in Fallbrook, California, on December 7 and 8, 2011, and January 5, 2012. Tania L. Whiteleather, Attorney at Law, represented Student. Student’s mother (Mother), who is one of his conservators and holds his educational rights, was present throughout the proceeding. Sharon A. Watt, Attorney at Law, represented the Fallbrook Union High School District (District). Sallie Hunt, Special Education Director for the District, was also present. Student filed his due process complaint with OAH on May 19, 2011. On June 21, 2011, OAH granted a joint request to continue the due process hearing until December 7, 2011. At the hearing, the ALJ received oral and documentary evidence. The following witnesses testified at the hearing: Mother; Sallie Hunt; Nicole Miller; Carla Crane; Adam Dawson; and Ellen Dowd. Prior to commencement of the hearing, Student made a motion to bifurcate the remedy portion of the hearing on grounds that there will not be sufficient information for the ALJ to craft compensation in the event Student prevailed. The motion was denied without prejudice. Student resubmitted the motion during the hearing. The ALJ heard oral arguments and granted the motion on the record. After the hearing, at the request of the parties, the record remained open for the submission of written closing and rebuttal arguments. The parties filed their closing briefs on January 17, 2012. Rebuttal closing briefs were filed on January 20 and 23, 2012. The matter was submitted on January 23, 2012. On March 1, 2012, the parties agreed to extend the decision timeline in this case two weeks to March 14, 2012, due to a medical emergency of the ALJ. c) it has failed to develop an individualized transition plan for Student? 1. Student was born in April 1989. He is almost 23 years old. Student resides with his parents (Parents) who live within the geographical boundary of the District. 2. Student attended Fallbrook High School (FHS) for his 10th, 11th and 12th grade years in a special day class. Student was eligible for special education and related services under the category of autistic-like behaviors. 3. Student is considered in the “high-functioning” range of autism. He is in the average range of cognitive ability, but his disability impedes his academic and social progress. Student has significant problems with communications, social interaction, auditory memory, perseverating on issues, and anxiety. 4. In May 2007, the District conducted a triennial assessment of Student. This was the last assessment of Student that the District has performed. 5. On May 10, 2007, the District convened an annual IEP team meeting for Student, and discussed the results of the triennial assessment. On June 7, 2007, the IEP team reconvened the meeting and offered Student a placement in the FHS Transition Program. 6. On September 4, 2007, Parents, on behalf of Student, filed with OAH a due process complaint that challenged the June 2007 IEP. This was OAH case number 2007090067. 7. On November 20, 2007, OAH issued a decision in case number 2007090067 (2007 OAH Decision). In the 2007 OAH Decision, OAH ordered the District to hold an IEP team meeting within 30 days to discuss and consider placements, goals and services designed to help Student work toward a high school diploma. The 2007 OAH Decision denied Student’s request for placement at the Fusion Academy (Fusion), a private school utilizing one-to-one teaching, on the grounds that Fusion was not a state-certified non-public school (NPS). 8. On December 13, 2007, Parents, on behalf of Student, filed a complaint in the United Stated District Court for the Southern District of California, challenging the 2007 OAH Decision (Federal Court Case). 9. On February 8, 2008, the District convened an IEP team meeting for Student, in accordance with the Order from the 2007 OAH Decision. The team members included Mother and her attorney, Ellen Dowd. At the IEP team meeting, District representatives discussed the potential placement of Student at an NPS called Springall Academy. Mother and Ms. Dowd requested that the District place Student at Fusion. Parents did not want Student to attend FHS, because he had experienced bullying and harassment there in the past. Nevertheless, the District again offered Student placement at FHS. In response, Ms. Dowd informed the District that Parents would place Student unilaterally at Fusion due to the District’s failure to offer him a FAPE. 10. The February 8, 2008 IEP team meeting, was the last such meeting that the District has held for Student. The District did not prepare an IEP for Student for the 2008-2009, 2009-2010 and 2010-2011 school years. Student aged-out of special education in April 2011, when he turned 22. He has not obtained a regular high school diploma. 11. In April 2008, Student began to attend Fusion. Mother testified that Student did not register at Fusion, but that he was attending on a trial basis in order to determine whether Fusion would be appropriate for him. Parents hoped that the short period would demonstrate that Student would receive a high school diploma at Fusion. Parents also hoped this would lead either to the District agreeing to reimburse Parents for the cost of attending Fusion, or in the alternative, Parents would receive this remedy through the Federal Court Case. Parents did not notify the District that Student was attending Fusion, nor did Fusion request transcripts and other educational records involving Student from the District. 12. On August 1, 2008, a Magistrate Judge conducted a hearing in the Federal Court Case. Sallie Hunt, the District’s Special Education Director, attended the hearing. During the hearing, Ms. Hunt learned for the first time that Parents had placed Student at Fusion. Through subsequent court papers, Ms. Hunt also learned that Student attended Fusion from April 2008 to August 2008, that the cost of the placement was $9,000, and that Parents could not afford to continue the placement there. 13. On August 29, 2008, the Magistrate Judge issued a Report and Recommendation to the United States District Court Judge in the Federal Court Case. The judge did not make a ruling in the case for over two years. 14. The District contends that Student was a unilaterally-placed private school student. District bases its position on Student’s failure to register at FHS, and his attending Fusion. However, there is no dispute that Student was properly enrolled at the District. 15. Each year that a student attends FHS, the student must register with the school before classes are assigned. A student cannot attend classes until the registration process is completed. When a student fails to register, District personnel attempt to determine the status of the student. Adam Dawson, an assistant principal at FHS, stated that case managers for special education are aware of the status of the students on their case load. Special education students who do not attend FHS are not required to register. There is no requirement for a special education student to go through the registration process if he or she is going to receive special education services off the FHS campus. 16. Dawson also testified that when a student transfers to another school, the new school requests records, including transcripts, from FHS. This is another way that FHS learns that a student is no longer going to attend FHS. 17. Here, both FHS and Ms. Hunt were aware that Parents would not consent to Student attending any program on the FHS campus because of his anxiety resulting from past bullying and harassment. Parents disagreed with the District’s FAPE offer, and were actively contesting the offer both with OAH and in the Federal Court Case. Parents never indicated that they were abandoning their claims against the District. In fact, Parents did just the opposite. On August 1, 2008, the District, through Ms. Hunt, was notified that, although Parents could not afford to place him at Fusion, Student would attend for “$9,000 worth of education.” Thus, the District was on notice that Student could only attend Fusion for a limited time. Therefore, Student did not demonstrate a lack of intent of returning to District schooling. He only demonstrated intent to not attend a program on the FHS campus. 18. Following September 2008, neither the District nor Parents communicated with each other, as the matter proceeded in the Federal Court Case. Mother testified that the reason that she did not contact the District was that she was awaiting a decision from the court. 19. On January 27, 2011, the judge in the Federal Court Case issued an Order that adopted the Report and Recommendation of the Magistrate Judge. The Order affirmed the 2007 OAH Decision, but remanded the case to OAH for the resolution of two issues: (1) whether the February 7, 2008 IEP placement was appropriate under the IDEA, and, if not, (2) whether the private parental placement at Fusion was appropriate. 20. On May 19, 2011, Parent, on behalf of Student and through counsel, filed the due process complaint in this matter. Parents intended to obtain independent educational evaluations (IEE’s) as part of the case, and have the District pay for such evaluations. Parents have not obtained IEE’s due to finances. 21. On December 22, 2011, OAH issued a decision on the remand from the Federal Court Case (2011 OAH Decision). The 2011 OAH Decision found that the District had predetermined the offer at the February 7, 2008 IEP meeting for Student, and awarded Parents reimbursement for the cost of placing Student at Fusion. 6. For a child with a disability who turns 16, his or her IEP must contain postsecondary goals based upon age appropriate transition assessments and transition services to help the child in reaching such goals. (34 C.F.R. § 300.320(b) (2006); Ed. Code, § 56345, subd. (a)(8).) This requirement is sometimes referenced as a “transition plan.” (See e.g., K.C. v. Nazareth Area School Dist. (E.D. Pa. 2011) 806 F.Supp.2d 806, 822.). 20. This is an appropriate case to invoke Education Code section 56505.1, subdivision (e). The District has not performed an assessment of Student since May 2007. (Factual Finding 4.) The parties have engaged in a long-standing dispute over educational services provided by the District to Student. (Factual Findings 4, 7, 8, 9, 20, 21.) In the opinion of this ALJ, Student requires an assessment by a third party who is unaffiliated with either Student or the District, in order to assist the ALJ in crafting an appropriate award of compensatory damages for the District’s denial of FAPE in this case. 1. Pursuant to Education Code section 56505.1, subdivision (e), the undersigned Administrative Law Judge appoints Dr. Michael Tincup to perform an independent educational evaluation of Student in the area of psychoeducation. In his evaluation, Dr. Tincup shall include the investigation and recommendation of appropriate placements for Student to obtain compensatory education. 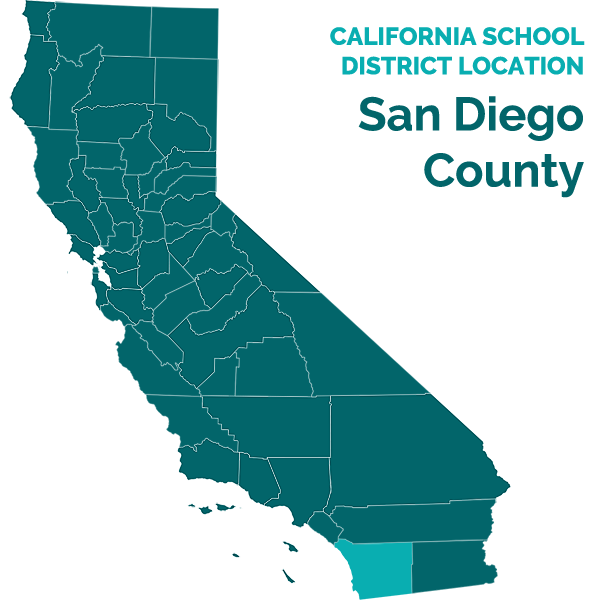 Such placements can include certified non-public schools, charter schools, including those with virtual or home-based programs, and any program operated by the District, the North County Consortium of Special Education or local community college, which would be appropriate for Student. 2. Pursuant to Education Code section 56505.1, subdivision (e), the California Department of Education (CDE) shall bear the expense of the IEE performed by Dr. Tincup. The Office of Administrative Hearings shall provide the necessary information regarding the IEE to CDE. 3. Both Parents, Student and the District shall cooperate in the performance of the IEE by Dr. Tincup. 4. The Office of Administrative Hearings shall set a Trial Setting Conference for Wednesday, May 16, 2012, at 10:00 a.m. At the conference, the parties shall discuss the status of Dr. Tincup’s IEE of Student, and provide mutually convenient hearing dates for the second phase of this case. Education Code section 56507, subdivision (d), requires that this Decision indicate the extent to which each party prevailed on the issues heard and decided in a due process proceeding. Here, Student prevailed on the three issues heard and decided in this matter. This is a final administrative decision, and all parties are bound by it. Pursuant to Education Code section 56505, subdivision (k), any party may appeal this Decision to a court of competent jurisdiction within 90 days of receipt.